A huge, yummy spread of local and international delights! Grand Hyatt Singapore (5*) showcases a number of dining destinations and bars in the heart of Orchard Road. 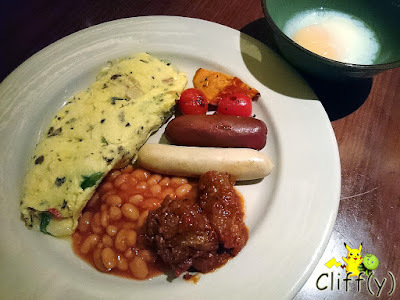 I recently took the chance to have a staycation there, so let's look into the spread of the breakfast buffet at Straits Kitchen that's Halal-certified. First of all, I must say that the ambience inside the Straits Kitchen Restaurant is lovely. It was very easy for me to take all the food pictures due to the nice lighting. Instead of starting off with salad, I first had a taste of the croissant, which turned out to be crispy and buttery. 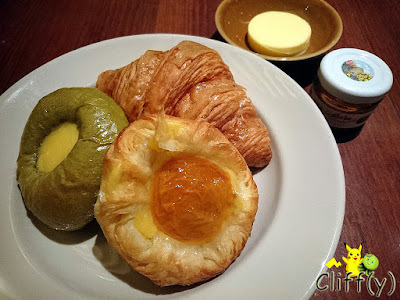 The apricot danish and the custard bun were decent. 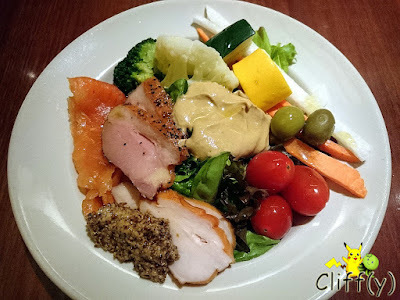 The vegetables available for the salad were fresh and crisp, going very well with the honey mustard. The cold cuts were equally appetising, where their natural sweetness was accentuated with Dijon mustard. The omelette that I requested for wasn't exceptionally fluffy, but better than many I've had elsewhere. I relished the tender beef chunks laden with tomato-based gravy. I saw all the poached eggs being maintained in a water bath at 63 degree Celcius. 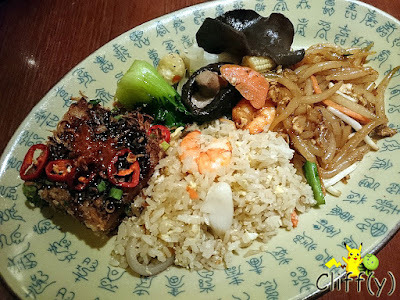 I really like the design of the plate that I took to contain the Chinese dishes. While the fried rice was cooked well, the fried lao shu fen (lit. rat noodle) was kinda greasy. The yam cake was savoury alright. 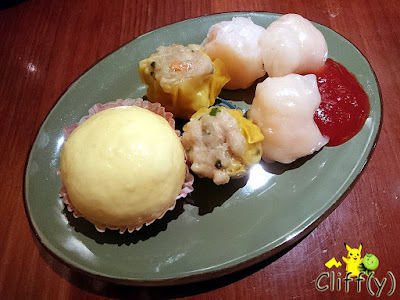 I'm usually quite skeptical with dim sum items served at any breakfast buffet line-ups, but Grand Hyatt did a decent job during my stay. While the skin of the shrimp dumplings was a tad too thick, the filling was pretty juicy. The chicken dumplings were pretty bouncy, while the custard bun was sweet enough for my liking. 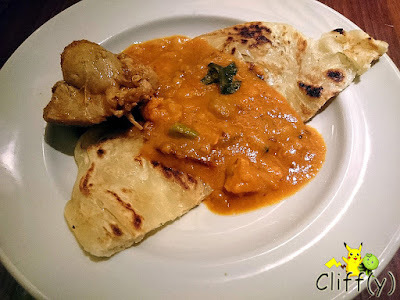 There was nothing to rave about the flatbread, but the vegetable curry was quite flavourful. The chicken chunk that I took was pretty tender. 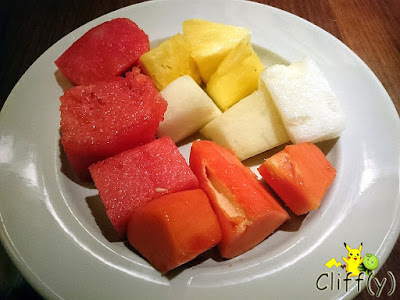 The cut fruits were superbly fresh, sweet and juicy. 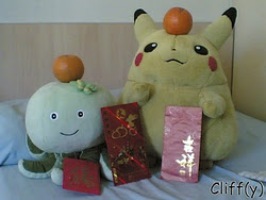 I wanted to eat my favourite fruit, which is banana, but I had no more space in my stomach. 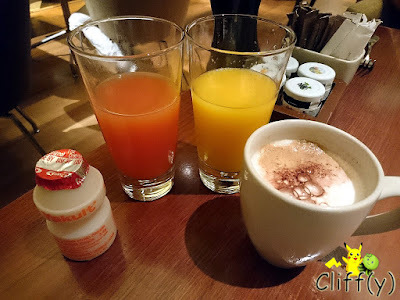 After tasting the various juice drinks available (grapefruit and orange juice shown in the picture), I believe they came from a particular leading brand that can be found in supermarkets. I dusted my aromatic cappuccino with cocoa powder provided next to the coffee machine. Should you need something to aid digestion after the breakfast, Yakult is available. 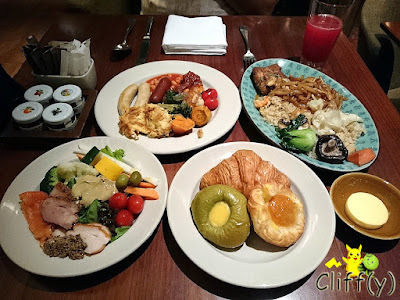 Pika's advice: When dining at any of the restaurants at the hotel, you are entitled to complimentary car park coupons with a minimum spend of S$100.00 nett.